The holidays are a very special time for the little ones whether you celebrate Christmas, Hanukkah, or Kwanzaa. 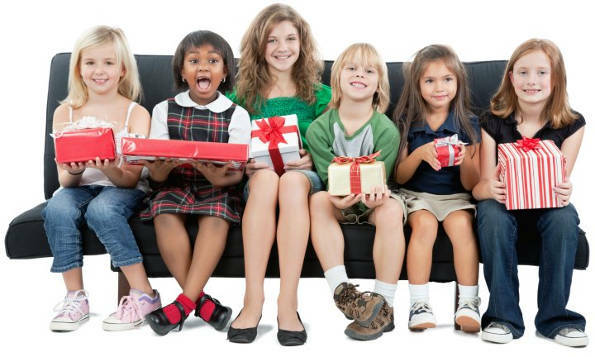 Gift buying for children is usually fairly easy … unless you want something really unusual. We have you covered. The manufacturers and retailers of Vermont strive to offer the unique and unusual. Here are some of their amazing gifts for the kids on your list. For a gift that never goes out of style, head to the Vermont Teddy Bear Company in Shelburne, Vermont. Vermont Teddy Bear is the largest manufacturer of teddy bears in North America and has a huge selection of bears complete with themed clothing. How about the Christmas Bedtime Bear dressed in red footie pajamas and holding his adorable puppy? You’re not just giving a teddy bear, you’re providing a new best friend. 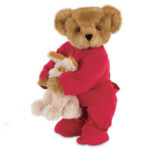 Christmas Bedtime Bear is $69.99 and can be purchased at the factory store or online. For classic toys, check out the Vermont Country Store in Weston or Rockingham, Vermont. We guarantee you will find favorites from your own childhood. Their vintage toy selection includes games, pull toys, musical instruments, dolls, and so much more. 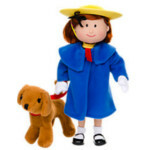 If one of the children in your life loves the Madeline stories as much as you did as a child, why not give the Madeline doll? She even comes with her loyal pup Genevieve. All for only $39.95. You can visit the store in Weston or Rockingham, or shop online. How about socks for a stocking stuffer? You and your special kid will love the multi-patterned, purposely mismatched socks from Solmate Socks! Made in Vermont, these beautiful, cozy socks will have you embracing the company’s moto, “Life is too short for matching socks.” Order online or check the company’s website for retail locations. Children’s socks, $20. Books always make great gifts. Why not browse Phoenix Books at one of their 4 locations – Essex, Burlington, Rutland, or Chester? Not sure what to buy? The staff is always ready to help you find just the right purchase. Our suggestion – go with one of the world’s favorite authors, Dr. Seuss. 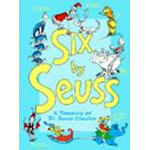 Six by Seuss for $24.99 brings you 6 favorite Seuss stories in one volume. If you have a baby or toddler on your holiday list, you are going to want to check out Boysenberry, a totally original Vermont baby fashion store. Frustrated by her own inability to find gender neutral baby clothing, Beth Frock made her own, and Boysenberry was born. All clothing is handmade in the shop and incorporates fun design and bright colorful fabrics. Check out the Fleece Baby Bunting made from polar fleece and available in 4 fun color combinations – apple/purple, orbit blue/cherry, pear/purple, and teal/purple. Bunting is priced at $34 and available at the store in Rochester or online. The tradition of giving coins at Hanukkah has evolved into a custom of offering children gold-wrapped chocolate coins, or Hanukkah “gelt.” For some of the best chocolate in Vermont, look to Lake Champlain Chocolates in Burlington. 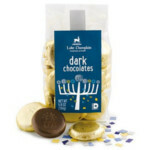 They offer a bag of dark chocolate Hanukkah gold coins for $13.50. Can’t get to Burlington? No problem. You can buy Lake Champlain Chocolates online or through participating retailers. The Hero’s Welcome General Store in North Hero, Vermont, carries on the tradition of the early American general store. You can find a little bit of everything from specialty foods to clothing to household items at the store. Plus, they offer a unique selection of toys, games, and unique items for kids. How about bacon flavored toothpaste or a million dollar bill! 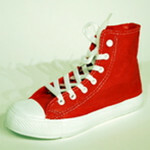 We liked the bank which looks like a high-top basketball sneaker for $12.99. Visit the store or shop online. For the very special children on your list, why not give an experience that will never be forgotten. A dog sledding adventure for two! Meet the dogs and then settle into the two person sled while your guide mushes across fields and through snow laden woods. This adventure is available from HuskeyWorks Mushing Company in West Wardsboro, Vermont. 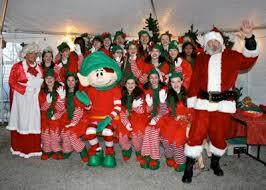 For a day filled with the spirit of Christmas, book a trip on The Elf Express leaving from Manchester. This fun-filled holiday train ride is sponsored by the Manchester Lions Club. Journey through the Green Mountains of Southern Vermont, enjoy musical entertainment, holiday snacks, and meet Christopher Pop-In-Kins as well as Mr. and Mrs. Claus. Every child receives a special gift. This charity event takes place December 17-18, 2016. Cost for children 2-12 is $20 (under 2 is FREE). Children 13+ pay adult charge of $25. There are a lot of ideas here, but if you still need more, check out Vermont.com’s Shopping & Products page or the Holiday Shopping pages for Northern, Central, and Southern Vermont. You are sure to find even more suggestions to make it a wonderful holiday for the children on your list. This entry was posted in Now Trending, Shop, Things To Do, Uncategorized on November 7, 2016 by Linda Warner.